Charlotte of Mecklenburg-Strelitz (19 May 1744 – 17 November 1818) was the Queen of the United Kingdom as wife of King George III. She was Queen Consort of the United Kingdom from her marriage on September 8, 1761, to her death on November 18,1818. 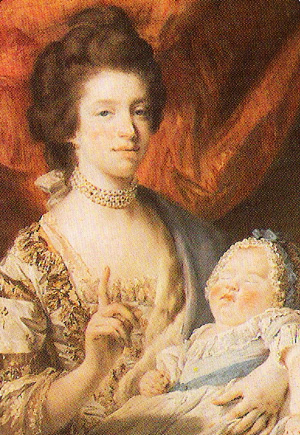 Charlotte and George III had 15 children of whom thirteen survived to adulthood. She was the longest consort, serving 58 years. She died in 1818, and George III died two years later. Charlotte of Mecklenburg-Strelitz Facts for Kids. Kiddle Encyclopedia.